On Aug. 20, VCIPL welcomes several new members, Dr. Wei Liu and Jing Yang (visiting scholars), Nate Lannan (PhD student) and Stephen Qi (PhD student) Le Zhou (MS student). On July 1, VCIPL is awarded a 3-year grant from the OCAST Health Research Program. On Jan. 19, Ayesha has her first paper accepted by IEEE Winter Conference on Applications of Computer Vision. Visual Computing and Image Processing Lab (VCIPL) at Oklahoma State University (OSU) is dedicated to both fundamental and applied research in the areas of computer vision, image/video processing, multimedia, biomedical imaging and remote sensing data analysis. In particular, we are interested in inference and learning problems involving geometry, shape, appearance, kinematics, dynamics, and semantics, which are essential for many vision tasks both at the object-level, such as object detection, recognition, localization, tracking, and at the scene-level, video mining and image/video understanding. VCIPL was founded in 2001, and Dr. Guoliang Fan was appointed as the lab director. The VCIPL is now located in ATRC233 with more than 600 square feet space. 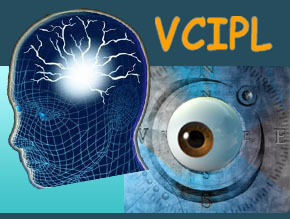 Since 2001, VCIPL has been funded by OSU, Environmental Institute, NSF, NASA, OCAST, and Army Research Office (ARO), etc.